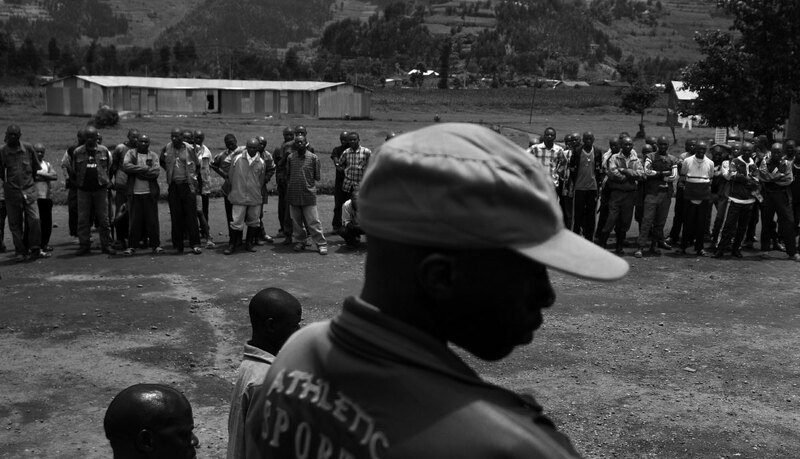 Former military rebels and their families, who have chosen to demobilize and repatriate back into their respective societies, go through lessons in the order of the camp at Camp Mutobo in Mutobo, Rwanda. The Rwandan government is zealously encouraging that effort. Genocide survivors are urged to forgive and to live in villages with former killers -- and, indeed, many people bite their tongues these days rather than describe anyone as a Tutsi or a Hutu. In the case of the returning rebels, the government runs a kind of boot camp aimed at transforming them into model citizens.